There is so much turmoil in the breastfeeding and breast pumping world when it comes to formula. It's become the "F" word! 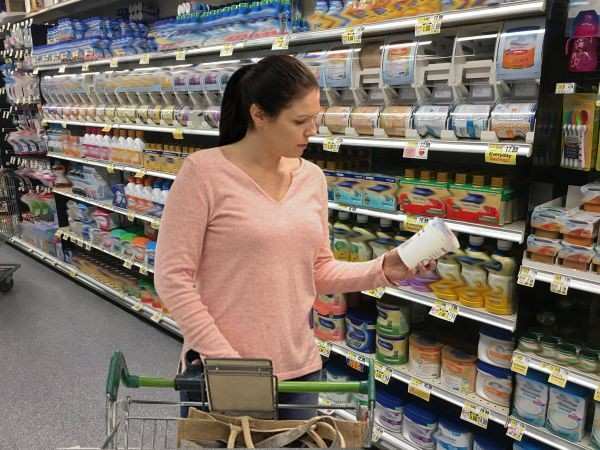 Many lactation associations and pro-breastfeeding groups abhor formulas because it has shown to deprive babies of essential nutrients found in breast milk. Many programs like the "Baby Friendly" hospital initiative, the new WIC standards and the standards created by the World Healthy Organization (WHO) are encouraging health professionals and institutions to drop the F word and promote breastfeeding as much as possible. In some impoverished areas around the world formula has been known to have detrimental affects to infant growth, but here in the United States hospitals and policies are shifting in an economy that is not always nursing mom friendly. What do moms who have to go back to work, who do not get pumping breaks, or could not, after so many tries, lactate, do?? Women are trying to power through the notion that they must breastfeed as long as they can. But sometimes the stars do not align and they have to use formula. Formula is also big business in the United States. Breastfeeding education can now be found at your fingertips with the hashtag #normalizebreastfeeding and the saturation of social media. But then there is reality and what happens to each women in post partum. Women have to deal with the socio-economic burdens. The workplace is still adjusting to nursing moms and companies still have to support every mom in the "F" word world. So here we are...in a world packed with formula isles, social media hashtags and breastfeeding policies everyday moms never hear of. What is a mom to do?